At the northern end of NSW, lies a vibrant and attractive region. The heart of this Northern Rivers area is the town of Ballina, a coastal delight at the mouth of the Richmond River. A visit here is sure to be a memorable experience, filled with adventure, relaxation, and natural beauty. After you’ve secured your comfortable Ballina accommodation, the fun begins, and you can start planning your activities in the area. With so much to do on land and sea, you’ll be spoilt for choice during your Ballina holiday. Need some guidance? Our Ballina motel resident experts here at Richmond Motor Inn have come up with the essential list. These are the top things to do in Ballina: adventures not to be missed. From the months of June until November, Ballina is a perfect site from which to do some whale watching. During their annual migration, the majestic humpback whales pass through these waters, giving visitors and locals a chance to glimpse them (and perhaps their newborn calves) on their journey. Check out one of several great coastal viewing points, or head out on a Ballina whale watching cruise. From boating, stand up paddleboarding, and kayaking, to the exciting Olympic-size swimming pool with attached water slide, water activities should be top of the list for your Ballina holidays. 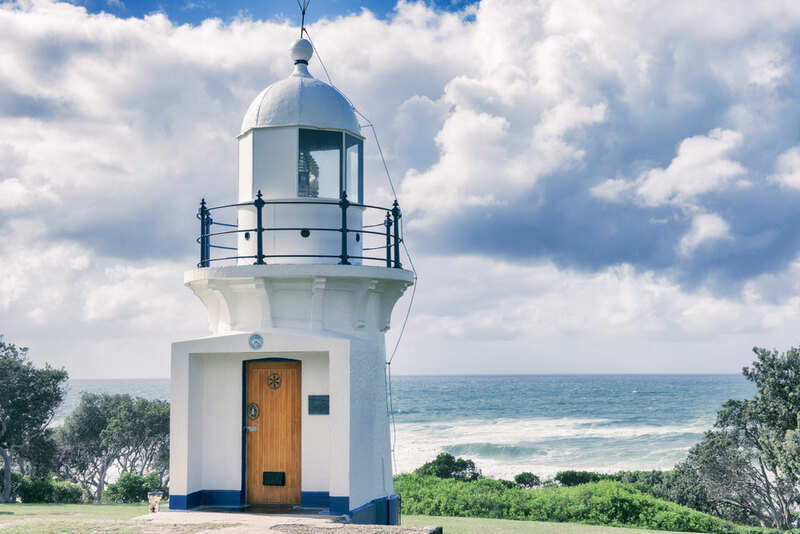 This is definitely a well-known spot for fantastic Aussie surfing; confident surfers will want to check out Lennox Head and its famous right hand break. But plenty of other ocean water sports are on offer, and miles of beach await you for swimming, relaxing, and more. Not so keen on waves? Head up the Richmond River for some laid back fishing and boating. The Ballina Naval & Maritime Museum is the perfect place to learn more about the local seafaring history of Ballina and beyond. With model ships, boat displays, and interactive exhibits on various aspects of life at sea, you’ll leave the museum with a deeper appreciation of the maritime industry—and a better understanding of its role in Australian history. All across the North Coast of NSW there are incredible weekend markets to wander through. After a cosy night tucked away in your Ballina motel, you can wake refreshed on a Saturday or Sunday and head out to a few hours at the local market. Here you’ll find produce, art, crafts, live music, and a fun community spirit. We’re sure the markets will have you feeling like a local in no time. The Northern Rivers area is an outdoor lover’s paradise. Enjoy bushwalking at Ballina Nature Reserve or one of the many national parks in the region. You’ll discover beautiful vegetation, spot local birds, and might just see a bit more exciting wildlife. Head inland to Killen Falls, an impressive 10m waterfall that descends into an inviting swimming hole. However you choose to enjoy the great outdoors, Ballina is an ideal location in which to do it. During your holiday in the Northern Rivers, you’ll need to select outstanding Ballina accommodation that meets your needs. Richmond Motor Inn is a centrally-located, clean and comfortable Ballina motel that prides itself on offering high quality for a great value. Get in touch for more details on booking one of our spacious yet cosy guest rooms for your stay.